The season is about to kick off with much fanfare. All the teams have been very actively pursuing their transfer targets. Even though there are only eight clubs in the league which is overshadowed by the popularity of cricket, they were able to attract players like Nicolas Anelka, FlorentMalouda, and Robert Pires. These household Premier league names have been a huge factor in getting the league across the entire world. Even though it is held only for a short period of time – especially when compared with the English and other European leagues, it has generated a lot of attention with some good football played over great pitches. It seems that Eboue is the latest player to be drawn by the Indian Super League. 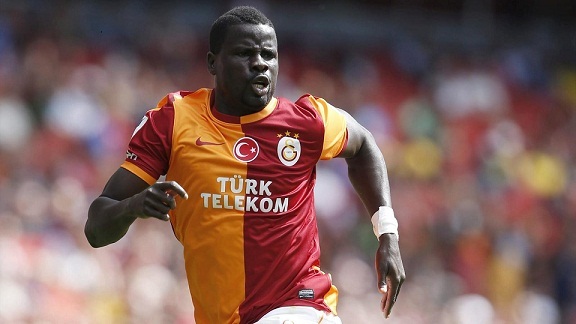 Eboue was recently found guilty of failing to settle a debt with his former agent. He was suspended for one year by FIFA, but it is understood that he has received permissions to play in another continent. As a result of being free represent Chinese, Brazilian, or Middle East clubs amongst Indian outfits, Eboue is keen on taking the opportunity to try Indian football. “Emmanuel Eboue is a great player who was Arsenal’s utility man. He is someone who can bring us a lot. We hope to reach an agreement with him,” said Atletico de Kolkata coach Jose Molina about the potential arrival of Eboue to the rest of India. The club has already made several good signings in key areas of the pitch. They are likely to be one of favourites to win the title this year. Owned by former cricket star SauravGanguly, the team has a lot of passionate supporters in this part of the region.